Jg cord. p/ baixo eléct. 5 cord. The Warwick yellow label fivestring bass set is a perfect choise for the player who wants a smooth feel and nice punchy tone. The B string produces a clear and articulate sound, which is not always the case in fivestring sets. 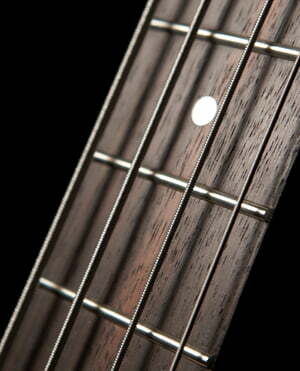 Moreover the tone lasts for a very long time and the strings does not become dull sounding quickly. 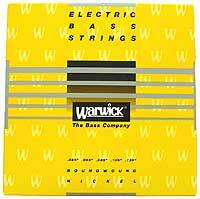 I have used these strings on a electric bass with a 34 inch scale length and the string tension is even over all strings. If I wound choose one thing that really makes these strings stand out from the rest of the avaliable choises out there, it would be the smooth feel they have ti them! ID: 151811 © 1996–2019 Thomann GmbH Thomann loves you, because you rock!